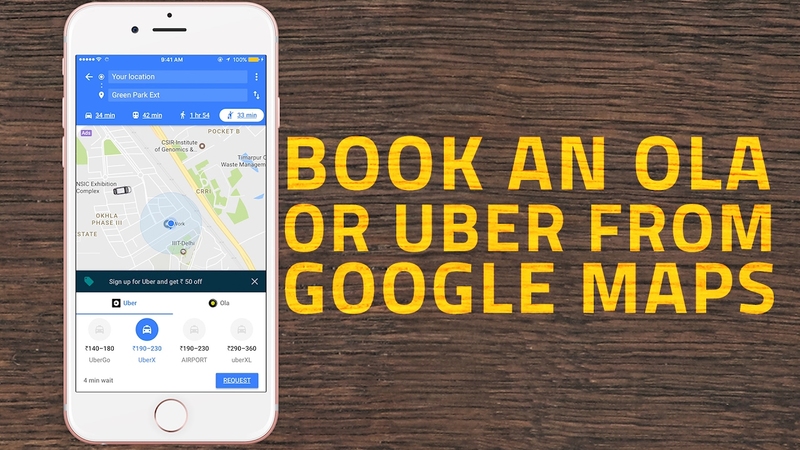 You can now use Google Maps to book a ride over Ola or Uber. You no longer need to open the Uber or Ola to book a cab. Just use Google Maps and your taxi will be available at your doorstep. This very simple and straightforward feature is easy to use. When you have gone through Ola using Google Maps, you will need to open the Ola app and book the Ola cab. In case of Uber, you can directly book your cab using Google Maps without opening or accessing the app on your phone. 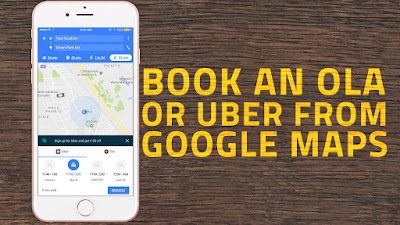 Let us see how to book an Ola or Uber using Google Maps in the following article. Why Choose Google Maps for Booking Ola or Uber Cab? The common question arises in our mind is why to book a cab using Google maps. Well, the main reason being the ability to compare prices for both Uber and Ola simultaneously. You can view fares of all the cars available from all classes available on Ola and Uber on Google Maps. Thus, you know which car is feasible for you and get the best rate before booking the cab. Go to Google Maps app and type your destination in the search bar. Tap on the ‘car icon’ present on the Navigate button. Tap on Taxi tab that looks like a person with one hand up. You can view Ola and Uber fares by tapping on the individual icons. If you wish to book an Uber, tap on the car you wish to book and click on Request. A pop up window will open and you need to link Uber to your Google account. Select the preferred account and tap on the Link. On the next screen, you will get the fare estimate and complete the booking by tapping on Book. For Ola, you need to go to Ola tab and select the class you need and then click Open app. If Ola app is already installed on your phone, it will open with the pick and drop options available from Google Maps. Book as you normally would. This all you need to do to book an Ola or Uber using Google Maps.